A glimpse of the hand cut half blind dovetails in the fronts of the drawers. Handmade wenge drawer pulls dovetailed into the drawer fronts. Equally at home beside the bed or in the living room as an end table, this small dresser is constructed entirely of hardwood and designed to withstand a lifetime of use. The case and base are made from one board of African mahogany. The case top and bottom are joined to the sides with floating tenons. The back of the case features frame and panel joinery. The case sits atop an ebonized mahogany base with reverse tapered legs and mortise and tenon joinery. 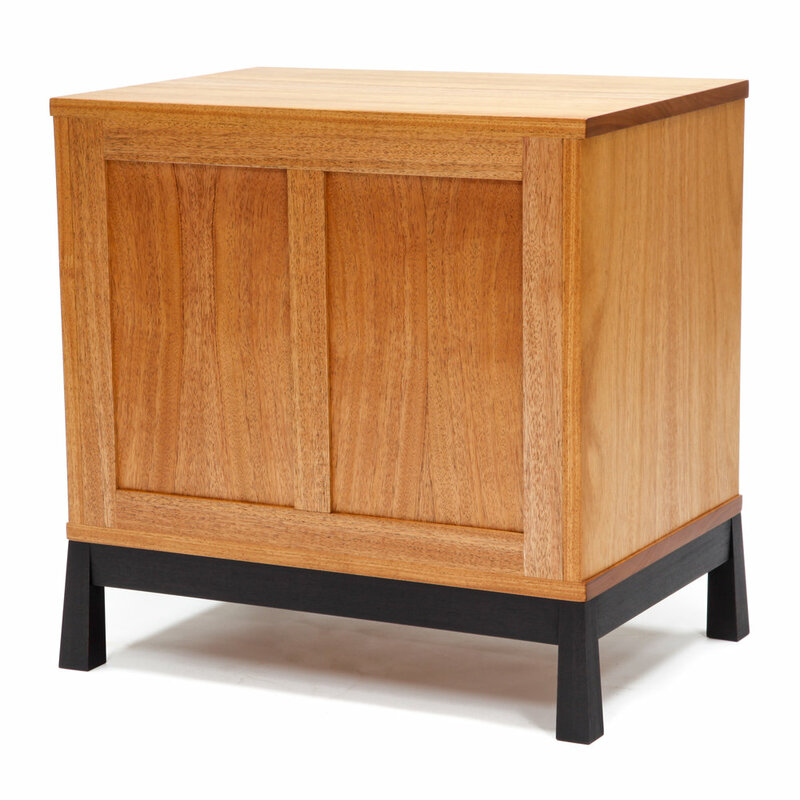 The three drawers have figured maple fronts that are joined with half-blind dovetails. The drawer pulls are hand made from wenge and attach to the drawer front with a through dovetail. The remaining drawer components are made from soft maple. The back of this heirloom is as beautiful as the front.